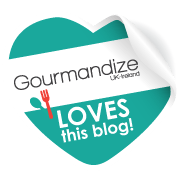 Although I’ve posted a recipe for spicy nuts I love trying different flavours and these cashews have proved a BIG hit on the people I have tested them on! These are super easy to make and store well in an airtight container. Great to whip up a batch if you’re having friends over and you want to do some nibbles. 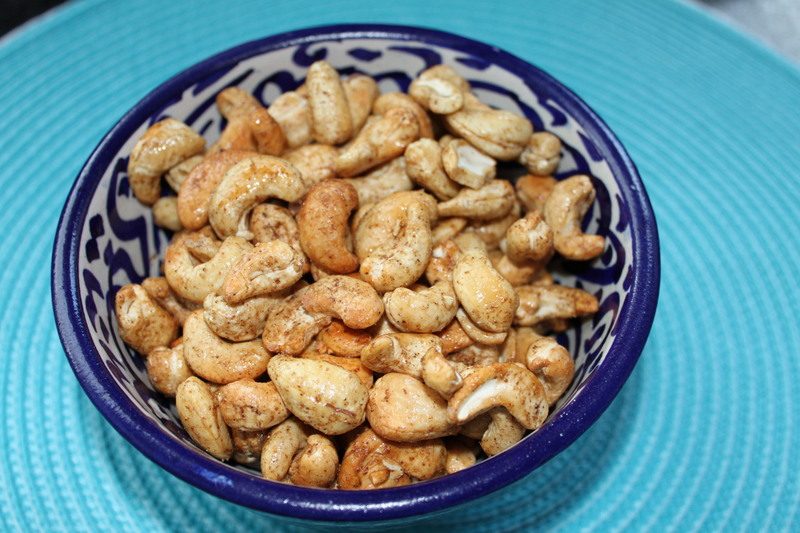 If you don’t like cashews, try with any other nut which you like. Pre-heat oven to 170C/335F. Line a baking sheet with foil. In a bowl combine all the ingredients and then spread on the baking sheet in a single layer. 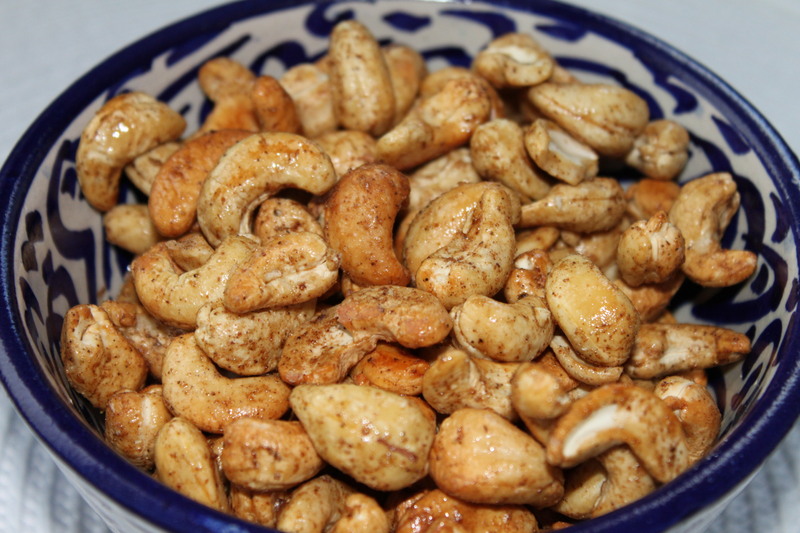 Bake for 7 minutes then stir the cashews and cook for a further 8 minutes. Cashews are done when they are golden brown. Leave to cool for a few minutes then store in an airtight container.